Discussion in 'WildStar Fan Creations' started by Neralyte, Jul 5, 2014. 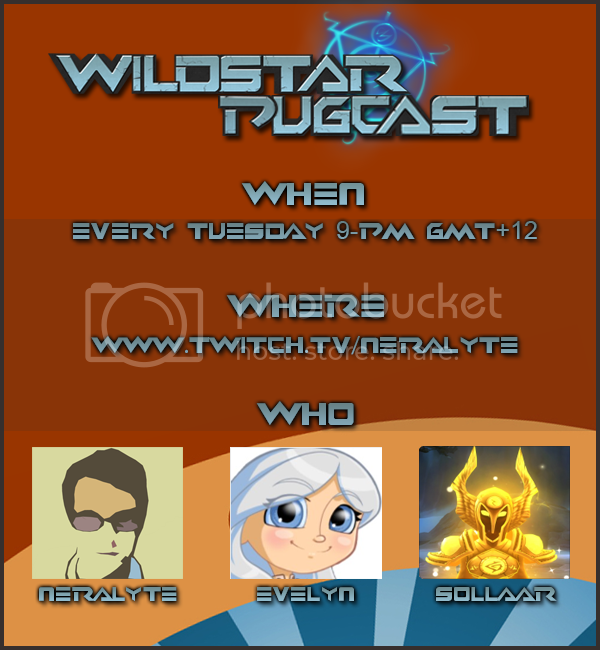 My name's Neralyte, I run a Twitch stream where we have recently started doing weekly Wildstar podcasts. Every Tuesday night, we get together and run semi-pug'd content and discuss Wildstar. This week marks the first official podcast and we'd love to have you come watch. Every month we will be giving away C.R.E.D.D during a podcast and this coming Tuesday is when it'll happen! If you want to find out how you can win free C.R.E.D.D just jump on over to the channel between now and the broadcast time and check out the info section below the stream. Hope to see you guys there!